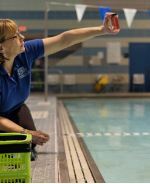 If you are a Facilities Director, Pool Manager, Head Lifeguard, Maintenance worker in an Athletic Facility or responsible for 1 or more pools, this is the required course for you!! The CPO® Certification courses are designed to provide individuals with the basic knowledge, techniques, and skills of pool and spa operations. Since 1972, The Certified Pool/Spa Operator® Certification program has delivered more training than any other program in the pool and spa industry. This has resulted in more than 342,623 successful CPO® certifications in 86 countries. Many state and local health departments accept the CPO® Certification program. OPTION 1-The CPO® Certification program requires participation in a two-day class (14-16 hours) taught by a certified instructor. ​ OPTION 2- The blended format that combines the online Pool Operator Primer™ and one day of the Pool Operator Fusion™ in-class instruction. The CPO® Certification program includes pool and spa chemistry, testing, treatment, filtration, maintenance, automatic feeding equipment, and government requirements. The CPO® Certification program requires an open book written examination. The student must score 75% or higher to receive certification. The CPO® Certification is valid for five (5) years. Widely accepted by local and state authorities. 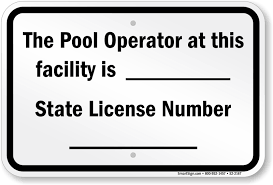 Covers topics necessary for pool operators including a section for local and state health codes. Comprehensive handbook that is updated regularly. All courses are taught by NSPF® certified instructors. The CPO® certification is recognized national and internationally. Gives participants a better understanding of the operator’s role in pool care, management and risk reduction. The CPO® Certification program is now eligible for IACET Continuing Education Unites (CEUs).